Final work for Art subject at College Of Multimedia Arts in Jihlava. Our task was to choose our favorite artist and to create some art according to his style. 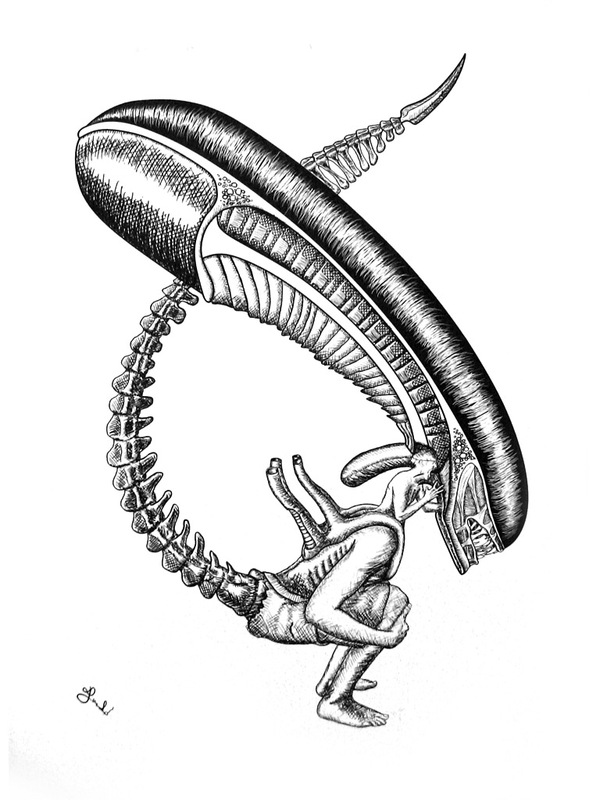 Choosing mr. H. R. Giger was sure choice! Initial sketch made with pencil on A4, then redrawn with tablet on A1 size and finally, silk-screen printing. I lost the original data so the picture below is photo of that final print, hence the glitches – sorry guys!